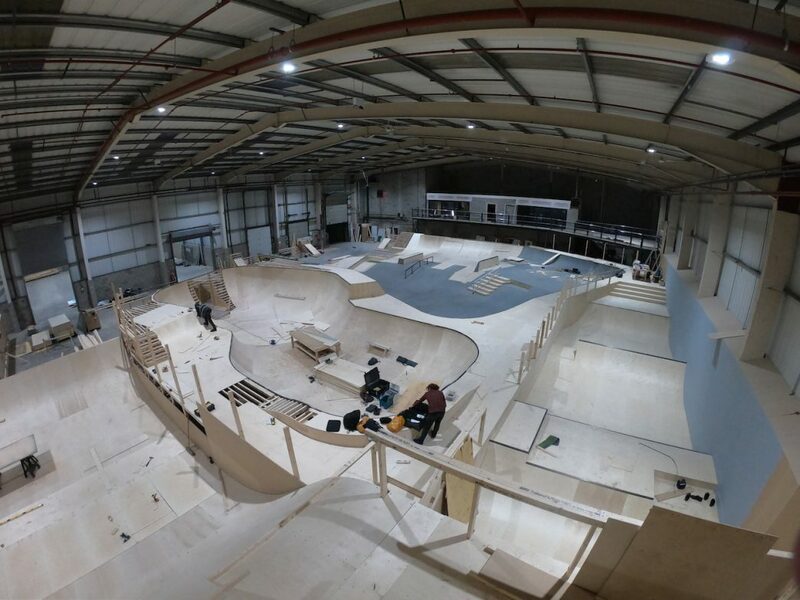 Coming soon to Manchester: skate ramps, trampolines, foam pits and more. With freestyle sports attracting more interest than ever before, the demand for multi-use training facilities is growing fast. In the UK, the team behind the Graystone Action Sports Academy, openign this weekend in Manchester, is currently looking for investors to shore up their advance into the British scene. Graystone's facility in Manchester is nearing completion. The first of several planned Graystone locations is scheduled to open this month in Manchester with a skate plaza, bowl, big air ramp to foam pit, and lots of additional highlights like a restaurant, bar, retail and media labs. While being open to the public, Graystone will also offer a training center for GB Park & Pipe athletes, as well as skateboarders and BMXers getting ready for their Olympic debut in 2020. If you’ve got some cash free and are looking to get invested in a grassroots effort, Graystone is currently offering investment opportunities through the crowdfunding website crowdcube.com. Their campaign is running for 9 more days, and is still short of the £350,000 target—so check it out and consider lending them your support. If you’re not the investor type, but still want to throw your support behind this project, make sure to drop by the first Graystone facility once it’s open and get some use out of this exciting new freestyle center in the UK.